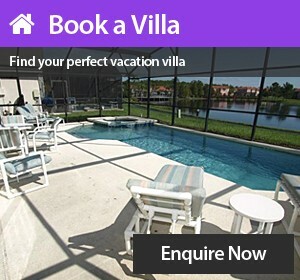 At Terra Verde Villas we specialise in luxury vacation villa rentals in the exclusive gated community near Disney. Terra Verde Resort is one of Orlando's most beautiful and desired vacation resort communities. Set around a stunning 3 acre lake and served by an exclusive clubhouse, Terra Verde offers a range of amenities you would normally only find in a top-rated hotel. We offer a huge selection of luxurious vacation homes to rent at Terra Verde Resort. Choose your perfect vacation villa and book direct with the villa owners. Disney entry required. Not affiliated to Terra Verde Resort.